New Delhi, India – April 2, 2019 – Today, Israeli-based Ocular Discovery and All India Institute of Medical Sciences (AIIMS) New Delhi, announced the launch of a novel research partnership investigating the mechanism of action of DCGI approved Dipyridamole, for optimized delivery and therapeutic treatment of various Ocular Surface Disorders (OSD). While the term OSD encompasses several conditions, all of which affect the Ocular Surface, an estimated 344 million people worldwide suffer from Dry Eye Disease (DED) alone. India reports higher levels of DED that that of Western countries, with 54% of India’s population suffering from the condition. Factors such as increased longevity and growing geriatric population, as well as environment, increased pollution, and lifestyle disorders such as obesity and diabetes, are believed to be increasing global market size; which is anticipated to reach $4.9B by 2024. Ocular Surface Disorders (OSD) have serious and long-lasting consequences. In addition to the social and psychological burden; physical side effects include severe discomfort, changes to vision, and in some cases – blindness. While the symptoms of some forms of OSD are treatable with topical steroids and anti-inflammatories, for others, surgical intervention remains the only option; signaling the necessity of additional therapies for those with unmet medical needs. Globally prescribed Dipyridamole, used for the treatment of cardiovascular conditions for over 50 years; is already approved and available in Israel for the relief of various ocular conditions and disorders. The drug has shown marked symptomatic benefit in patients with pterygium and related dry eye symptoms, as well as offers accessible and efficient delivery of the medication. The research collaboration led by Dr. T Velpandian, AIIMS and Moshe Rogosnitzky, Ocular Discovery, seeks to illuminate the drug’s mechanism of action and effectiveness in the treatment of widespread Ocular Surface Disorders in order to advance delivery, optimize dosage, and substantiate its use as a viable treatment option. “Ocular Surface Disorders have become a global epidemic. Our collaborative research with Ocular Discovery will provide us with a greater understanding of Dipyridamole for the treatment of various forms of the disease, and elucidate its mechanism of action. We look forward to this partnership and hold great hopes for the potential of these findings,” said Dr. T. Velpandian, Professor of Ocular Pharmacology and Pharmacy at AIIMS, New Delhi. “Our mission has always been to innovate new treatments by investigating the hidden benefits of established drugs and exploring new applications for their use without massive expenditure, in order to improve patients’ health and quality of life. By upgrading the uses of proven established medications such as Dipyridamole, patients, doctors, and health systems benefit from better outcomes with fewer barriers,” said Moshe Rogosnitzky, CEO and Lead Scientist of Ocular Discovery. The research will begin at the beginning of February 2019 and will run until 2022, findings will be published as discoveries are made. Headquartered in Rehovot, Israel, Ocular Discovery is a research and drug development company centered on the optimization and exploration of existing drugs for new ocular indications and conditions with unmet medical needs. By navigating the pathophysiology of disease and leveraging proven medications, Ocular Discovery delivers new therapies that maximize the value of established medications while minimizing safety risks. 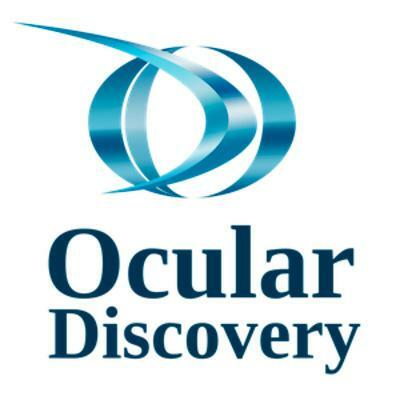 Ocular discovery’s pipeline currently includes treatments for dry eye, pterygium, pinguecula, melanocytic nevus, and corneal neovascularization. All India Institute of Medicine (AIIMS) is a medical college and medical research public university based in New Delhi, India. AIIMS was established in 1956 and operates autonomously under the Ministry of Health and Family Welfare. The Institute has comprehensive facilities for teaching, research, and patient care. Teaching and research are conducted in 42 disciplines. In the field of medical research, AIIMS is the lead, having more than 600 research publications by its faculty and researchers in a year. Principal investigators in the study are Professors of Ocular Pharmacology and Pharmacy, Dr. T. Velpandian, Dr. Vanathi M, and Associate Professor Dr. Nabita Halder. Principal Scientist from Ocular Discovery, Moshe Rogosnitzky.